Hi my name isXXXXX will assist you. Here is the diagram. What are your symptoms? 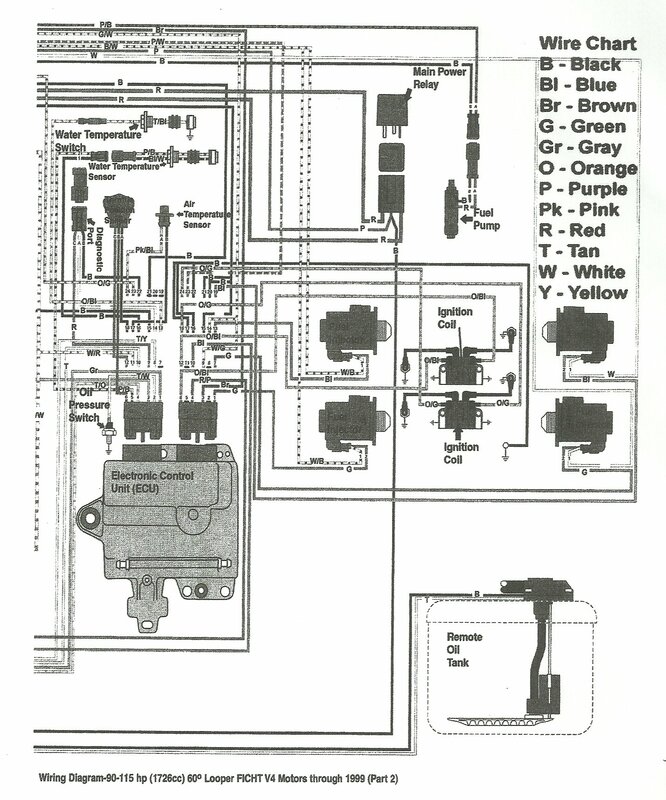 Need FULL electrical circuit diagram for Evinrude FICHT 115 Model NUmber E115FPXEEC. 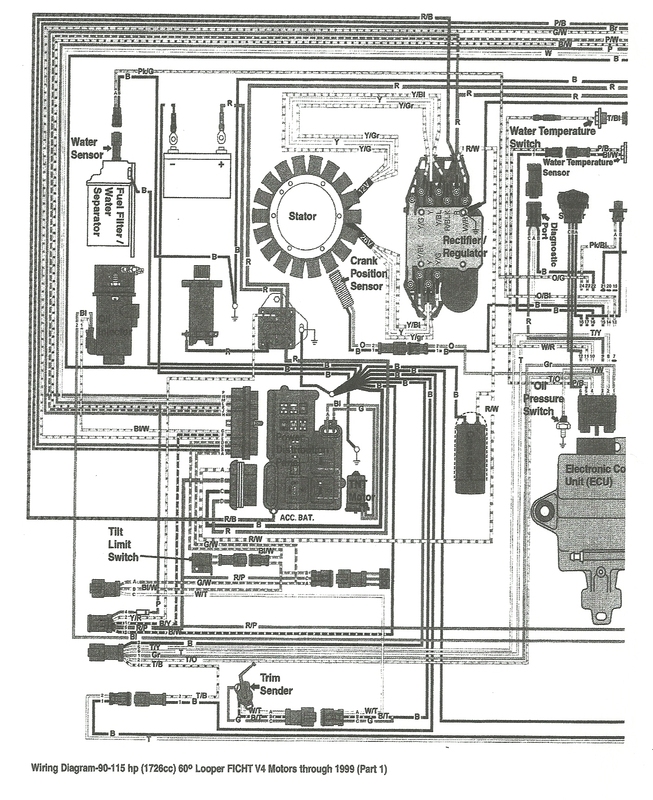 Please provide as requested because need circuit detail back to driver's control panel. Thank you. The electrical to the dash is a single enclosed wiring harness. There is no diagram of the harness. What are you looking for specifically? 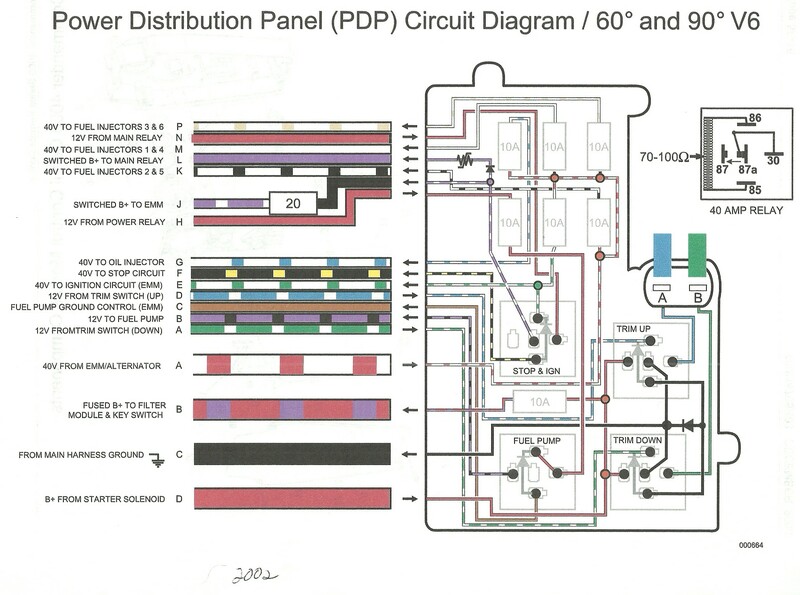 "particular reference to the up/down trim/tilt circuits - relay system"
Thank you for electrical wiring diagrams. Problem of not been able to raise trim tilt on motor (it could be lowered) has been solved with some help from your initial wiring diagram that identified the correct colour coded electrical wires that we had to check out although it turned out that the fault was in the Tilt Limit Switch that was not featured in the original electrical circuit diagram but is critical to the operation of the trim tilt. We worked this out after testing all the raise motor electrical leads and finally spotting some extra wire leading us to the trim limit switch. Still happy with your help and happy to pay the $34 fee. How do I rate your expertise? have 76 evinrude 115 (115693D) and the tilt not operating fully.